The dialogue was “open and honest” and meaningless. But open, friendly, and frank EU yearly chats have done very little to stem the disintegration of what little political plurality existed in Tajikistan. 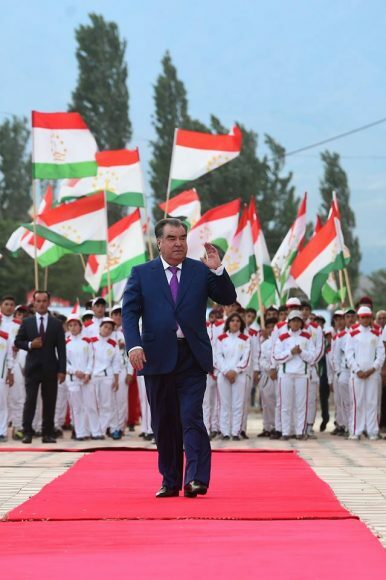 Throughout 2015 and 2016 Tajikistan pursued, with fervor, the decimation of the country’s only significant opposition political force, the Islamic Renaissance Party (IRPT). Tajik authorities have made a habit of pressuring the relatives of the political opposition, in particular. In May 2016, for example, the 95-year-old father of Muhiddin Kabiri, the leader of the IRPT, was detained after his son spoke via Skype at a Washington DC event about human rights in Tajikistan. Unmentioned in the EU statement was the fact that Yorov was the defense attorney for several of the IRPT leaders jailed last year. His own imprisonment came shortly that of his clients and human rights advocates say that is no coincidence. Yorov’s brother, also a lawyer, was arrested too. Indeed, as Swerdlow pointed out, the statement lauds Tajikistan for renewing the OSCE’s mandate but doesn’t bother to mention that Tajikistan boycotted the OSCE’s Human Dimension Implementation Meeting in September. Last year, at the meeting, during a session discussing Tajikistan, about 20 Tajiks staged a protest: they stood silently across the back of the room wearing shirts with pictures of imprisoned politicians and lawyers. The next day, there were reports that about 50 relatives of the protesters had been arrested in Tajikistan. No “serious concerns” in 2017 and no mention of fair trials, why bother? Clearly, the EU has failed to motivate Tajikistan’s leadership to reevaluate how it views human rights and political opposition. A harsher statement may have done nothing to inspire Dushanbe toward change but at least then Europe could say it was actually trying. Meanwhile, days before the dialogue Greek authorities detained a member of the IRPT’s political council, Shohnaimi Karim (also known as Mirzorahim Kuzov), while he was en route to an OSCE conference. Just another member of the Tajik opposition ensnared by Dushanbe’s tendrils in Europe.